“None of us came to Bible study to change… We came because it was something to do. But we’ve all changed, you can see that.” These are the words of a Texan prison inmate to a representative of Walking in Liberty, based in Lima. The ministry is currently building relationships with English-speaking women in two prisons, spending time with them talking, praying, singing and studying the Bible. Pray that their work would bear fruit that lasts in the lives of each of the women they meet with, and for wisdom, energy and healthy boundaries for the ministry. Please pray with Latin Link Peru, that evangelicals in Peru would recognise the need for unity, and that organisations and churches would work together to present the message of the gospel to those who have not experienced God in their lives through integral mission. In Peru there is a high rate of family violence, including sexual abuse. Pray for groups and organisations that stand up against this by offering programmes of awareness, prevention, protection and restoration. The indigenous peoples of South America have often been marginalised since the Europeans arrived. This includes the Quechua people in Peru. For too long Quechuan church leaders have had to use Spanish Bibles and materials to teach and preach – if indeed they’ve had any materials at all. ATEK is an organisation that promotes the use of the scriptures in Quechua. Recently, Latin Link’s Ian Horne, who is a board member of ATEK, took part in a meeting where Bible study materials in Quechua were given to Quechuan church leaders. Pray for ATEK as it seeks to place Quechuan scriptures and materials in the hands of the Quechua, and that as Quechuans read and hear the Bible in their own language, it will have an even greater impact on their lives. Different cultures face the loss of a loved one in different ways. 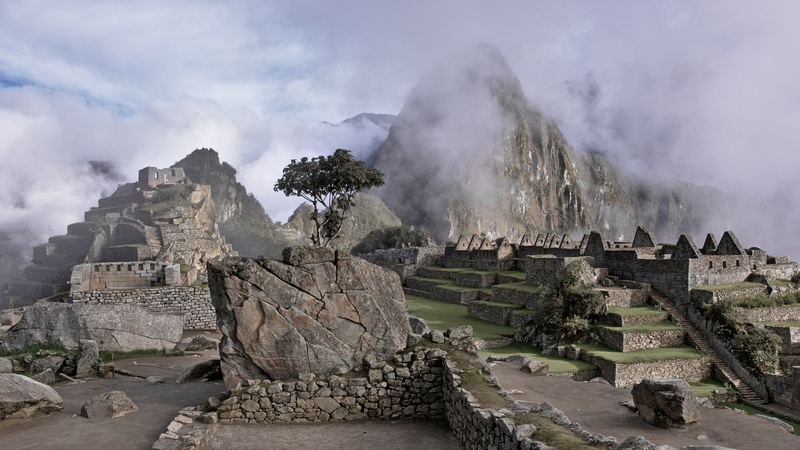 In Peru, the attitude is generally one of avoidance; most people have no place to process feelings. ‘Nueva Esperanza’ (New Hope) is a ministry run by a Latin Link member and a number of Peruvians, helping people to process their loss. ‘Bereavement camps’ help individuals (including children) to deal with their grief. Training has been given to church leaders, and now the ministry is beginning to train other groups, including some working in schools and prisons. Nueva Esperanza’s reputation is growing, and doors are opening. Pray for Peruvians learning to deal with their loss in often traumatic circumstances. Pray for the team members to be discerning and sensitive in these situations. Pray also for wisdom as the ministry grows. The Rainbow project ministers to boys who work on the streets of Huaraz, Peru. Latin Link member Elliot says: ‘We share weekly devotions with the boys while spending quality time with them to build relationships. We also support the parents in their children’s early development stages, meet practical needs (e.g. assisting them in completing paperwork to enable them get items such as health insurance and ID cards), and do house visits. These latter times normally include devotionals as well. The Christmas party had a good turnout, and one boy responded to the gospel message and said he wanted Jesus in his life. Pray that this boy continues in his desire to have a relationship with Jesus, and that relationships between the team and the boys will strengthen. Farmers in the high Andean areas are suffering from drought and unpredictable weather patterns due to climate change. They are losing significant proportions of their crops and cattle, forcing many to migrate to cities. Trees have a vital role to play in capturing water and restoring ecosystems, so a number of NGOs and charities, including Latin Link, have partnered with local communities in the Cusco region of Peru to plant tens of thousands of native trees on the hillsides. Many Quechuan churches are involved, and they are particularly encouraging their young people to help out. Pray for good and constant rainfall so that the trees become established, and that these initiatives would be a living testimony in word and deed to God’s love for people and his wonderful creation. Over a quarter of the population in the highlands of Peru face poverty, chronic malnutrition and diminishing crop yields due to climate change. Pray for the church, which is also affected by these issues, to be and share the ‘good news’ in the face of these challenges. Pray for the numerous rural Quechua churches, that the diverse biblical training initiatives in the region can prosper, that new leaders can be effectively discipled, that churches can move out from legalism and be renewed by the Spirit. For the eleventh year, the Evangelista riverboat leaves port in late September on its cross-cultural missions training venture ‘Mision a Bordo’ while navigating the Ucayali River in Peru. Stops are planned in 3 villages not previously visited to share the good news and minister to people spiritually and physically. The boat is staffed by participants who are eager to be challenged in cross-cultural missions. Pray for safety for the 50-plus participants, crew, facilitators, and the medical team - for God’s special touch on each person that they connect with along the river. The dry forest of the Peruvian coast is one of the most highly threatened ecosystems on earth. The trees capture water, help to prevent desertification, provide food for human and livestock consumption, and are habitats for many unique and endangered birds, mammals and reptiles. Pray for communities involved in dry forest conservation through reforestation, environmental education, and research activities in northern Peru. In Peru, if a close relative dies, you’re generally left to get on with it. There are no support groups. Now, to address this issue, contextualised bereavement camps – mixing therapy and fun – are being held. 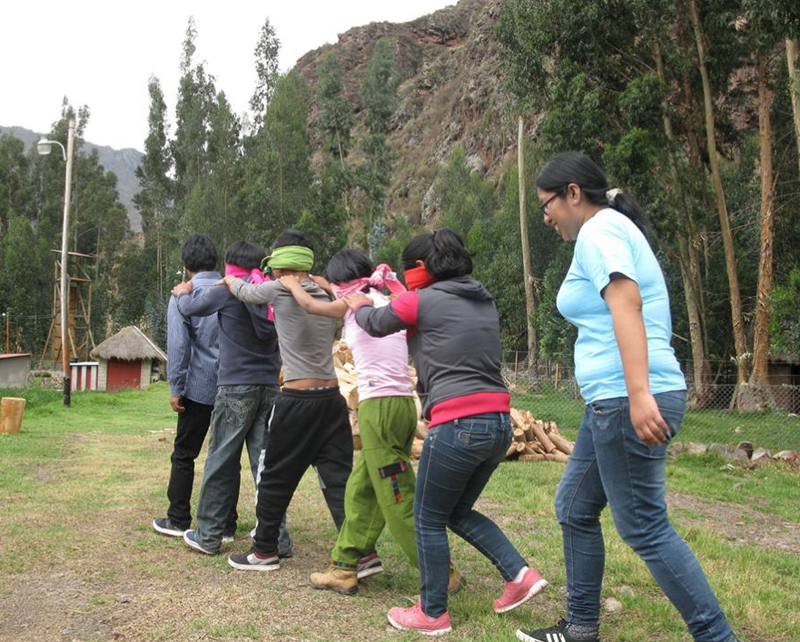 A pilot camp was held in December in Pisac, Cusco, with ten children and four adults, providing a safe environment for them to come to terms with their loss. One ten-year-old whose dad had been murdered told of school friends and teachers making fun of her. After the camp she commented, ‘Now I realise I don’t need to be embarrassed or ashamed that my dad was murdered.’ It is planned to expand this ministry: pray for the team as they challenge the prevalent mindset, train indigenous teams and provide support to schools and hospitals. Aylambo is a small village on top of a mountain in northern Peru. The landscape is fantastic, but most of the population live in very basic conditions. The children in the school however are very happy. ‘We are learning English,’ they said with bright eyes. In Peru, only private schools teach English but in Aylambo, thanks to a Tearfund volunteer programme, the children are learning three languages (Quechua, Spanish and English). It will give them a significant advantage for the future. Give thanks that our partner Warmis is helping the people of Aylambo realise their Christ-centred vision for a poverty-free future. Pray God will quench the thirst for learning shared by young and older alike, and that this helps overcome the disadvantages suffered as a result of inequality. Latin America and the Caribbean have long suffered from the effects of global greed and environmental carelessness such as deforestation, disappearing glaciers, natural disasters, pollution, and intensive mining and agriculture. In Cusco, Peru, farmers in the high Andean areas are suffering the effects of drought and unpredictable weather patterns due to climate change. They are losing significant proportions of their crops and cattle, forcing many to migrate to cities. Latin Link workers are partnering with other organisations to help these farmers and raise awareness. 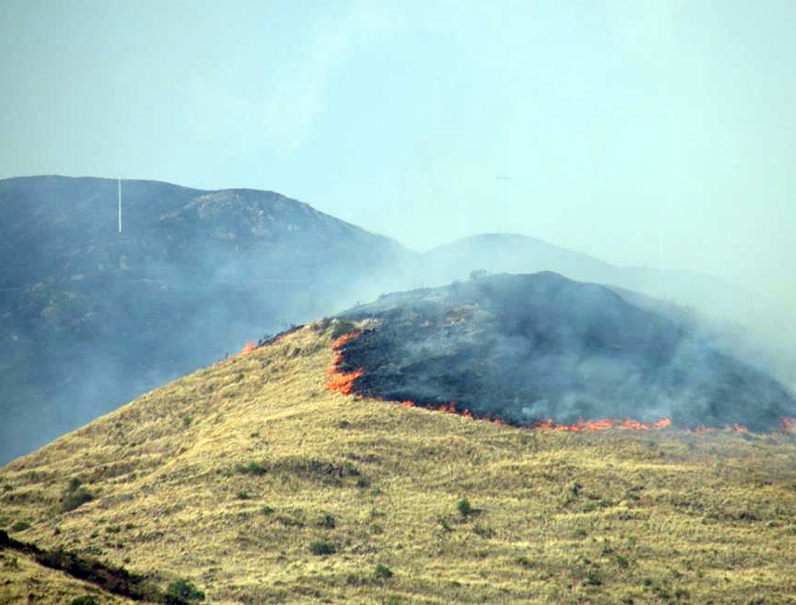 Pray for all those in the region suffering as a result of climate change, and particularly for the farming communities in the Andes, faced with difficult decisions about their future. BMS World Mission workers in the Amazon had a dream to teach the women in their neighbourhood how to sew. The Perth Insight Team experienced huge generosity from their church and their friends. With some of the money donated, they were able to buy three sewing machines when they arrived in Peru. Twelve women showed up, and enjoyed the lessons so much, they wouldn’t go home – despite working in almost 50 degree heat! The sewing lessons are now continuing. Pray for the impact this will have on the lives of these women. Homemade jam is bringing integral mission to Quechua communities of Cusco, Peru. The project entails helping 30 families in Huancahuanca to plant more saucotrees and 30 families in Rocoto to grow aguaymanto organically and efficiently (increasing production up to sevenfold), as well as adding value through jam-making. Families are already producing jams on a small scale for home use and for sale, and even the men are participating in the jam training. Integral mission and justice going hand in hand. Please pray for the continued growth and impact of this ministry. Many pastors and elders in rural Quechua churches have little formal Bible training and few resources other than their Bibles. Leaders in the Cusco Synod of the Evangelical Church of Peru (IEP) have long wanted to produce a magazine to help get practical, biblical teaching to the rural areas. Now, in the shape of Allin Qollana (The Good Leader), that is happening. Pray for the distribution - in a rugged, mountainous region half the size of England is very difficult. With only a small group of pastors currently involved in the distribution, it is important to make the most of church events that draw lots of people. 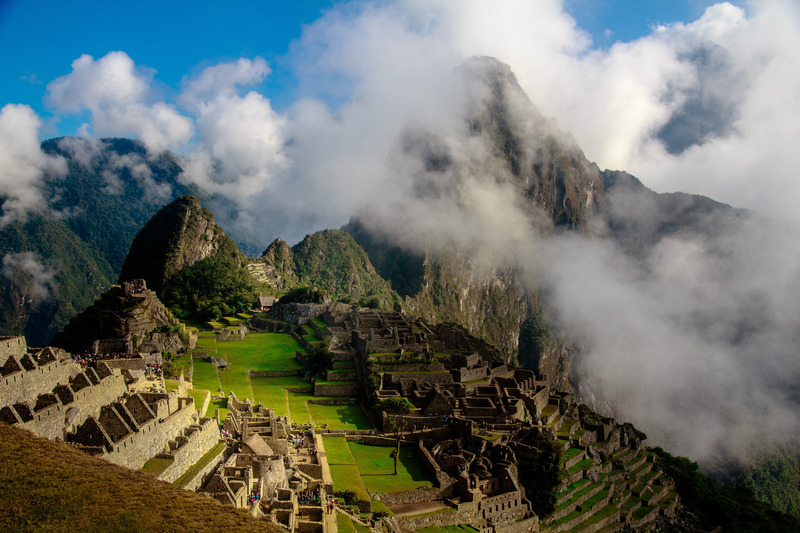 The La Unión Quechua people in Peru live in some of the most rugged terrain on earth. Reaching a depth of 10,967 feet below the top of the plateau, Cotahuasi Canyon is believed to be the deepest canyon above sea level, more than twice as deep as the Grand Canyon. Over 40 villages are scattered throughout this canyon where subsistence farming is possible. Reach Beyond helped our ministry partner establish a Christian radio station in 2008 that covers most of the canyon and last month 220 solar-powered SonSet radios tuned to this station were sent to the Cotahuasi people to help spread the Good News. Pray for open hearts and changed lives. Having quality materials is vital for engaging and life-changing Sunday school teaching. Buena Tierra (Good Soil) is a response to the needs of both children and Sunday school teachers, making available easy-to-use, dynamic, Bible-based lessons and songs specifically designed for different age groups and culturally relevant to most Latin American countries. The material is used not only in Peru, but also Costa Rica, Honduras, Mexico, Colombia and Ecuador. It has opened teachers to new styles of teaching resulting in children across the region receiving exciting and life-changing Sunday school lessons. Please pray for the youth work run by the Anglican Church in Peru, especially after the shooting in March of a 15 year old teenager who had occasionally attended one of the youth projects in Lima. Sadly, such shootings are not so unusual in Peru but they do serve as a reminder of the urgency of the need young people have for Jesus. Please also pray for young people in Peru who are affected by land rights issues, poverty and discrimination. The Quechua churches (20 or so) in the rural Layo area of Cusco, Peru (4,000m, four hours from Cusco city), have recently finished building their own training centre and have put together their first training schedule. At the end of January a course on Christian leadership will be run as part of an intensive week of training. The leaders from Layo are hoping to attract folk from other provinces and even from the neighbouring Puno province. Pray for those who attend the course to be greatly blessed and that, in turn, they may be a blessing to the Quechua churches. Give thanks for this important new resource and pray for the continued ministry of the centre. In Lima, Peru, some of the youth group from La Tablada church are organising a mission trip to a jungle area (9th to 16th January), where they will be reaching out to children, adults and teenagers who live there. Pray for the young people to be used by God and to grow spiritually through the experience. Pray also that that in the weeks following the outreach the word of God will sink deep into the hearts of the people living in the jungle area. One morning, a group of students went with the Red Cross to Ayacucho to hand over the remains of a boy to his father and older brother. Over 20 years ago, Sendero Luminoso (Shining Path) terrorists had come looking for the father. The sons had hidden the dad to protect him, but the terrorists took the youngest (16-year-old) son instead. They tortured him to death. Now the remains had been identified by DNA testing, and the father and son could take the coffin back to their village for burial. This was part of a new programme run by the Peruvian student organisation, recognising that new terrorist movements are, as before, starting in the universities. The student Christian Unions see the need to speak out against terrorism, but it’s also an opportunity to broach the issues that sparked the 1980s terrorism and its on-going effects. Pray that students will see that that God has things to say about their national past and a purpose for their present. Many people from the High Sierra or from some of the new shanty developments on the coast can only dream of a holiday. Valle Azul (Blue Valley), which opened in November 2007, is a place where families can get a break, at very little cost, and enjoy Christian fellowship and great fun. The site covers an area of 20,000 square meters and includes sports facilities, accommodation for 120 people, dining facilities to cater for over 300 people and conference rooms for the varying needs of visiting groups. Valle Azul welcomes a range of groups throughout the year as well as hosting Camps during the summer months. Pray that the centre can continue to fulfill its vision by ‘sharing Christ with compassion’. Alicia met her husband when she was still a teenager. At first, things were okay, but their relationship was put under extreme pressure when there wasn’t enough money even for the basic necessities. Agape works in Lima to provide social, psychological and pastoral support to vulnerable children and teenagers. Agape staff supported Alicia and her husband to attend a course about tackling domestic violence, as well as providing follow-up support. They also offer counselling around self-esteem, good relationships and skills such as saving and spending money effectively. Alicia is now feeling more confident and hopeful for the future, and hopes to start a business to earn more income for her family. The Turmanyé (Rainbow) project in Huaraz, Peru, supports children and families in need in several different ways. One of their growing ministries is reaching out to children and teenagers who work on the city’s streets - selling things, shining shoes etc. These kids come from low-income homes and may be at risk of eventually becoming street children. As the ministry grows, the project aims to provide a lunch club and a homework club, as well as activities each afternoon for primary-age children. They’ll also run separate weekly events and activities for the teenagers. Pray for the team and for the young people that they get alongside. There has been a significant rise in the influence of evangelicals within Peru in the last 50 years. Evangelicals now number more than 10% of the population and are engaging more and more in social and political issues. This has gone alongside the rise of Christianity in many indigenous peoples, especially the Quechua and Amazonian groups. 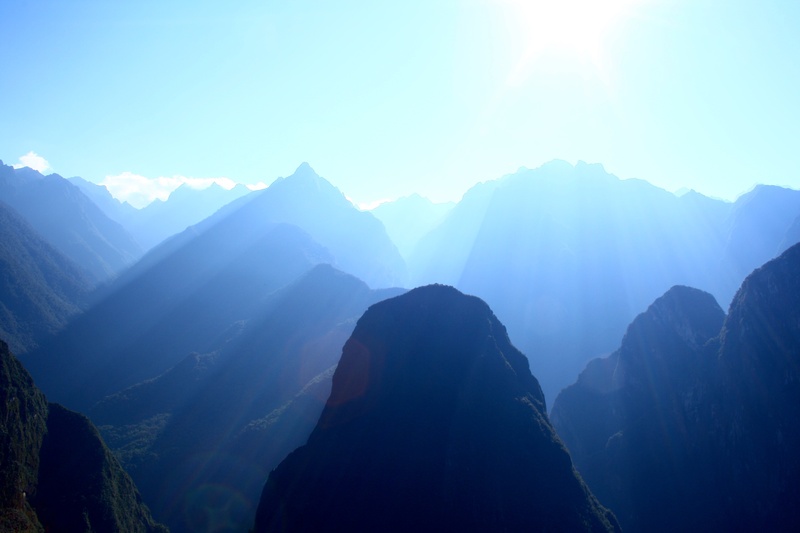 To consolidate this growth, a new regional shortwave radio station went on the air in July, airing programmes in seven languages across Peru’s northern jungles which are home to 200,000 people. Ask the Lord to speak through the airwaves and for the many new listeners to respond to these life-changing broadcasts. Proyecto Huarango is an initiative being undertaken by A Rocha Perú, in partnership with local communities, to plant and care for huarango trees in Ica. Most of the once-extensive forests have been felled, but the trees are a vital part of the ecosystem in this arid region, providing nutrients to the soil, and protecting the land from becoming unworkable desert. They also give much-needed shade to livestock, and the leaves and pods help feed the animals. Pray for this work and particularly that the communities will embrace their vital role in the reforestation process. When Peruvians move from outlying villages into Cusco in search of work, who looks after the elderly relatives left behind? Tawna is an organisation run in partnership with local churches, seeking to minister to these people. Weekly events include a spiritual message, a short health talk, exercises, recreational activities and a meal. Later in the year they hope to start some training for some of the more agile elderly people, teaching them to make things they can sell to improve their incomes. Pray for this ministry, that they may see elderly Quechua people grow in faith, health and dignity. Cajamarca in the Peruvian Andes is a beautiful but unforgiving land. With a changing climate, increasing crop failures and falling returns from the land, for many the struggle for existence is getting harder. An organisation called Warmis are teaching villagers how to farm more efficiently, as well as helping them retrain with new skills that will bring in a more sustainable income. Please that this ministry will have a lasting impact and bring meaningful change to the lives of many. Also pray for courage and perseverance for the communities facing difficulties. During the rainy season, life on the high plateau of Peru’s Melgar province can become distinctly inhospitable. Flooding is not infrequent, with crops often being washed away, leaving rural communities economically vulnerable. In Huamanruro, in the district of Macari, damage to roads has prevented them from getting their agricultural goods to markets. Tearfund partner Shalom has been working with local churches to bring this dispirited community together to look at its problems and see how it can address them in a coordinated way. As a result of disaster prevention workshops, a system of drainage channels has now been created so that rain is harnessed rather than allowed to cause damage. Residents report the work is benefiting their fields and crops and it’s also unifying the community. Pray for communities regularly suffering the hardship of flooding and give thanks that knowledge and training is bringing life-improving benefits to remote communities in Peru. Pray for Shalom’s ministry as it works with local churches to combat material and spiritual poverty by bringing people together. The Huarango forests on the south coast are amongst the most threatened in the world and their destruction has led to widespread soil erosion and desertification. Traditionally, they provide the local communities with food and fuel. In Ica, during December and January, volunteers from three churches replanted three hectares with over 3,000 Huarango seedlings and during 2010 they expect to plant a total of 11,000 seedlings across 10 hectares. Many people in the communities are very poor so food crops are also being grown in the tree nurseries. Pray for the various groups working to protect and restore the forests. In addition to the human benefits, the forests are a key refuge for desert species, including the very rare Slender-billed Finch.